You're one step closer to becoming an Odyssey influencer. Here at Odyssey HQ, we’re working tirelessly to change the way content is created and consumed. 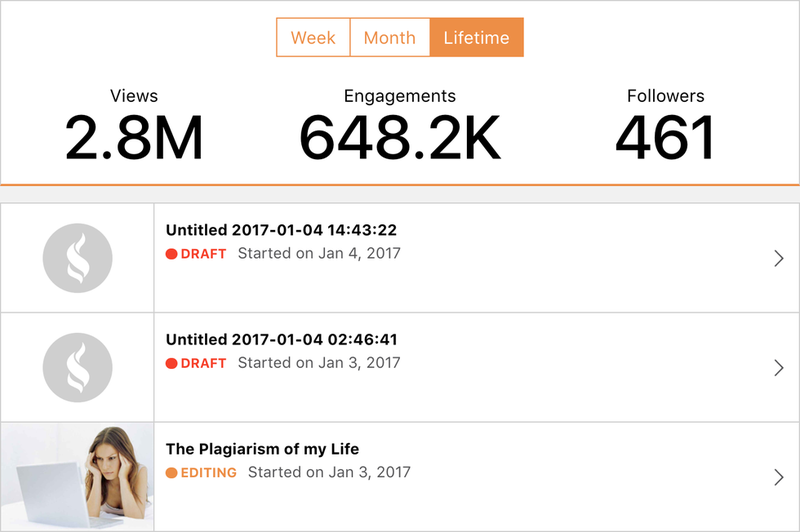 We can’t tackle such a big mission without providing a platform that enables our thousands of Creators to find and grow their unique audiences. That’s why we’re thrilled today to announce the launch of personalized front-end dashboards! Whenever you’re on Odyssey, just click into your profile on the upper right corner of the screen, and select "Dashboard" directly under your name. 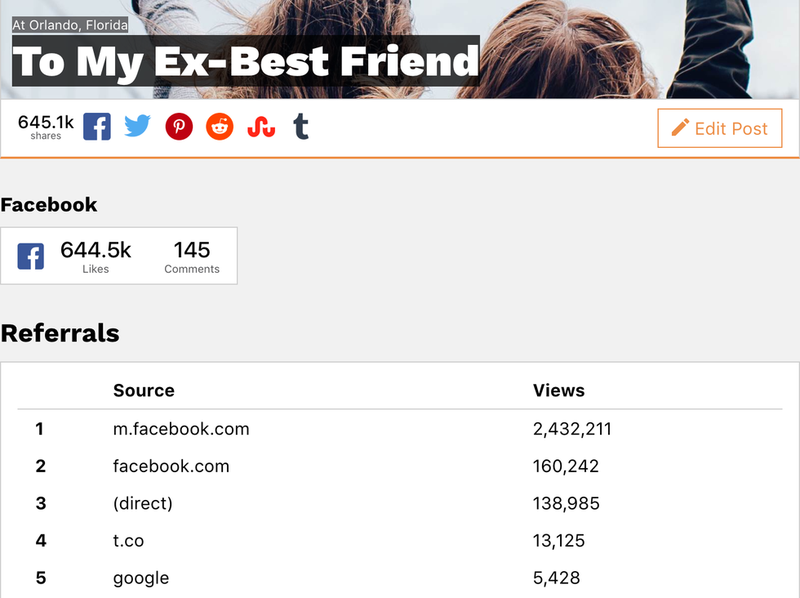 There you'll be able to see your page views, social engagements, followers, and more. It's an opportunity to learn exactly what content resonates with your readers, and how to position yourself to take off as an influencer on Odyssey like never before. At the top is an overview of Callie’s lifetime statistics, which can easily be toggled to the previous week or month. Below is a stream of her drafts and live articles. Clicking a draft leads directly to MUSE to continue writing or editing, whereas clicking a live article leads to a zoomed in view of how that piece has performed on Facebook, as well a breakdown of which sites are driving traffic to it. As you can see, this article took off on Facebook — to date it’s garnered 645.1K shares, 644.5K likes, and 145 comments. And counting. Looking at the referral sources, most of the views have come from Facebook on mobile, followed by Facebook on desktop. Next is direct traffic, meaning people who clicked on it while elsewhere on Odyssey, then t.co (Twitter), and Google. Of course, not every article reaches such great heights in terms of raw views, but the beauty of this dashboard is the information it provides about everything you create. Which style of content performs best relative to others? Which topic seems to strike a chord with your readers? Does that topic have a better audience on one external platform than another? These are the questions you can start answering for yourself, and much more. To learn more about your dashboard, check out this walkthrough on the Odyssey User Knowledge Base. So go play around with your own dashboard today! You’re one step closer to becoming a true Odyssey influencer.